The diocese is in the central western part of Orissa state in eastern India. It has an area of 9, 675 square kilometers. The diocese has eight civil districts - Sambalpur, Anugul, Bargarh, Balangir, Debagarh, Dhenkanal, Jharsuguda and Sonapur. It is a mountainous and plateau region. The famous Mahanadi River flows through this area, making many parts of the land fertile. One of the biggest dams in Asia, Hirakund, is situated here. Important cities are: Sambalpur, Anugul, Bargarh, Balangir, Deogarh, Dhenkanal, Jharsuguda and Sonapur. Sambalpur diocese has a total population of 7,139,384. The various tribes have a rich cultural heritage. People have an agro-based economy. Their main occupation is agriculture. Mostly they cultivate paddy. Due to the vast rich minerals, and forest resources, there is vast opportunity for industries. The area has industrial centers like NALCO, NTPC, Super Thermal, Coal mines, Steel Factories etc. Many tribal Catholics get employed here. Industrialization also has created its problems. Most of Orissa's power is generated by the hydroelectric plants here. Hand-woven Sambalpuri saris are famous. 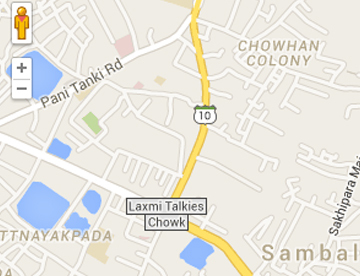 Sambalpur University is situated here. A famous medical college of the region is situated here at Burla, near Sambalpur. The languages spoken are: Oriya, Sadri, Khadia, Mundari, Oran, Hindi and English. Sambalpuri dances are a big attraction. Varieties of wild animals are found here. A new movement began when the adivasis of Chhatanagpur responded to the call of Fr. Constant Lievens in 1856. According to historical notes, of course, the first missionary to step into it wwas Fr. Fierens, Sj in 1884. He was chapllain at the British military Garrison in Sambalpur. He made extensive notes for Fr. Grosjean, his superior and Archbishop Goethals. In 1908, Fr. Grosjean came to Kesramal and started the first mission station in Gangpur. Eventually, the Jesusit Missionaries opened five mission stations - Kesramal (1908), Hamirpur (1919), Gaibira (1922), Jhunmur (1924) and Kusumdegi (1929). Gangpur mission was the fondest mission on the part of the missionaries in the whole of the Chhotanagpur area. The First SVD Missionary, Fr. Stanislaus Wald arrived in Gaibira on July 11, 1948, This marked a new beginning in the history of Gangpur mission. In the beginning Kesramal had 6,000 Catholics but when the Society of the Divine Word (SVD) took it over in 1948 the number increased phenomenally to 65,000. In June 1951, by taking over parts of the Archdicoeses of Calcutta, Ranchi and Nagpur this mission territory was called out and a new dicese was officially created. The new diocese comprised four civil districts of Odisha i.e. Sundargarh, Sambalpur, Bolangir and Dhenkanal and had an area of 46964 sq. kms. The Catholics consisted mainly of four tribal groups of Chhotanagpur - Khadias, Kissans, Mundas and Oraons. Msgr. Herman Westermann, SVD was appointed the new Bishop of Sambalpur and was consecrated on July 22, 1951. The area was then very primitive with no communication facilities and with very little educational facilities. Bishop started his task of building up the diocese with five parishes, 65,000 Catholics, 20 SVD priests and 23 sisters. He was convinced that the participation of women religious was essential in evangelisation and faith formation. Therefore, he nourished and develped the congretagion of the Handmaids of Mary (HM) although Fr. Edmund Harrison, Sj in 1944, founded it. The Handmaids of Mary have rendered untiring service in developing the Christian Community in Sambalpur Diocese through faith formation. By the time Bishop Westermann retired in 1974, the Catholic community had grown to 133,000 and was spread over in 30 parishes and 312 mission stations. Bishop Raphael Cheenath, SVD succeeded Bishop Westernmann on May 18, 1974. Though a strange land for him, he accepted the place and people with a motto "TO BECOME ALL THINGS TO ALL MEN". He put his heart and soul to further develop this missionary diocese. When he took over, the Catholic Diocese of Sambalpur was the third largest diocese in the North India, in Catholic population. He specifically concentrated on educational institutions, especially in acquiring Grant - in - Aid for the minority schools situated in the rural areas of the dicoese. His tireless effort resulted in success. From the beginning of his episcopacy, Bishop Raphael Cheenath was convinced that the leadership of the diocese has to be handed over to the local hands and so he took stpes to get the diocese bifurcated so that the already develped area in the district of Sundargarh could be made into a new diocese. Consequently, towards the end of 1979, Sambalpur diocese was divided into two dioceses - Rourkela Diocese and Sambalpur Diocese. Bifurcating from Sambalpur Diocese the civil district of Sundargarh, Rourkela Diocese was formed on July 16, 1979. On 03 November 1979, Most Rev. Alphonse Bilung, SVD, a native of the area was appointed as the first bishop of Rourkela Diocese. On July 16, 1979 the announcement of the creation of the new diocese of Rourkela was made. The new diocese consisted of the district of Sundargarh alone. On Novemebr 18, 1979, Bishop Raphael Cheenath moved out of Rourkela and began to stay in the presbytery of Sambalpur parish which is known as the Cathedral parish of the Catholic Diocese of Sambalpur. This was a new beginning for Bishop Raphael Cheenath and Samablpur Dicoese. Rourkela was the old diocese with a new name and Sambalpur diocese was the new diocese with the old name. The districts challenge of developming a new area, which was not given much attention earlier, as the attention of his predecessors was concentrated on the district of Sundargarh. Sambalpur was now a new missionary diocese with an area of 37,299 sq.kms, with 18,357 Catholic in 11 parishes. There were 25 priests (3 diocesan) and 52 sisters in the diocese. The missionary task was enormous. New parishes, schools and institutions had to be started in the interior places of the diocese. More religious congregations were invited to work in the diocese. A new Mission "Ho Mission" started. Institutions like Regional Pastoral Centre, Religional Communication Centre started. On July 25, 1985 Bishop Raphael Cheenath was appointed the Archbishop of Cuttack-Bhubaneswar. On August 11, he arrived at Bhubaneswar and took charge of the Archdiocese. After his leaving the diocese was without a bishop for a year and half. Fr. Scaria Ponneduthankuzhy was taking care of the diocese as administrator. On December 6, 1986 Msgr. Lucas Kerketta, SVD was nominated the Bishop of Sambalpur..
On March 1, 1987 Msgr. Lucas Kerketta, SVD was consecrated as the Bishop of Sambalpur. He began his ministry with the motto "JOURNEYING TOGETHER IN GOD'S LOVE". His motto spoke volumes about his personality, style of leadership and the way he wanted the Catholic Diocese of Sambalpur to be developed. In 1979, when the diocese was divided, it consisted of three civil districts. Those three districts have now been further devided into eight - Sambalpur, Bargarh, Bolangir, Deogarh, Dhenkanal, Jharsuguda and Sonepur. Now the diocese has three different categories of people with their unique own indentity, culture and problems. In the Western part of the diocese their are Dalits (Gonda) who are socially, economically and educationally backward. To work with them is a massive task for the diocese. The middle part of the diocese has tribals of Chhotanagpur tribes. Most of them have migrated from Sundargarh districts and some parts of Jharkhand. They have occupied the interior forest lands and are making their living out of it and the forest to a great extent. They are economically poor but are very generous and strong in faith. Culturally they are very rich and committed to the Church. The third category of the faithful of the diocese belong to is Ho tribe. They are still primitive in their life style and social practices. No development activity of any group has touched them. The church has recently entered into their lives. Now with the help of the missionaries, faith formation and education, perceptible changes have been brought into the lives of the Ho community. The Diocese has also industrial centres like NALCO, NTPC, SUPER THERMAL, COAL MINES, STEEL FACTORIES etc. These areas provide new pastures for various apostolates. This is the vision of the diocese, the faithful together with missionaries have spelt. The growth of the church is measured by the growth of the Laity. 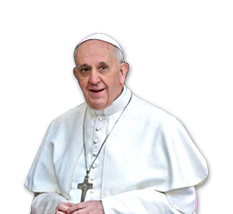 The Diocese believes in sharing the responsibilities of the church with the powerful hands of the laity. Therefore, the diocese fosters 'Small Christian Communities' for better participation and development. In the beginning of the third millennium the diocese spelt out its vision and goal in the meetings and seminars on various occasions, so as to make the diocese a communion of communities by building up Small Christian and Human Communities based on Gospel values and to involve all sections of the people of God in planning, decision making and execution of all the projects and apostolate in the diocese in order to make the diocese a self supporting self-reliant and self propagating community. Bishop Lucas completed his tenure at the age of 75 after 25 years of service. On July 26, 2013, Msgr. 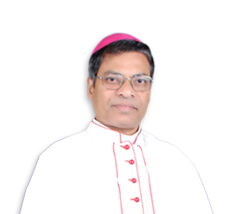 Niranjan Sualsingh, a diocesan priest of Cuttack-Bhubaneswar Archdiocese, was appointed as the Bishop of the Catholic Diocese of Sambalpur. Young and capable in all respects, soon after his consecration on September 28, 2013, Bishop Niranjan Sualsingh plunged into action to carry forward the mission entrusted to him. He invited the preists, religious and laity to evaluate the church's life and ministry and motivated them to evolve a pastoral plan for the diocese of Sambalpur with a clear vision and mission. The Catholic Diocese of Sambalpur is a growing church with the committed service of 67 diocesan preists, 75 Religious priests, 305 Religious sisters and 60 full time and 173 part time catechists. The diocse is a Suffragan of Cuttack - Bhubaneswar Archdiocese. Its patron is St. Joseph the worker.